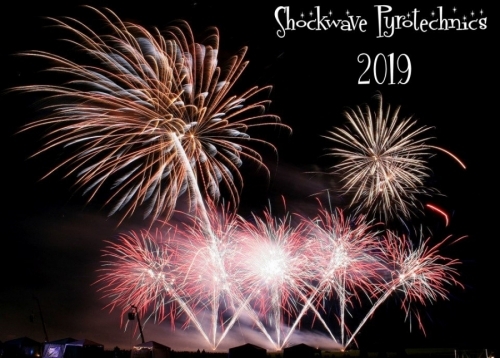 The Shockwave team combine to form an award winning Professional Fireworks Display Company, and have been performing stunning Fireworks Displays to crowds from a dozen to tens of thousands across the UK since 2007 for all manner of celebrations. 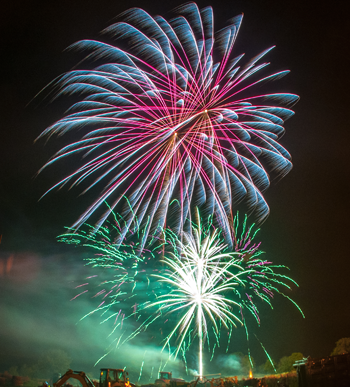 Voted 2 times winners of the prestigious Professional Firework Champions event, and runners up on on 4 occasions, we've plenty of experience and enthusiasm to make your fireworks display very special indeed, no matter what the occasion may be. 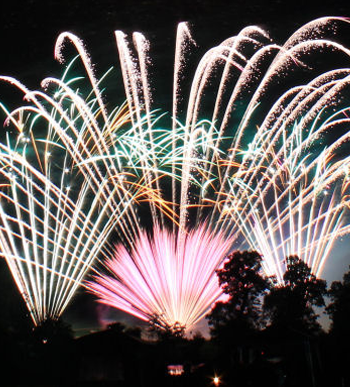 Along with the many Guy Fawkes, Corporate and New Years Eve fireworks displays, we perform in excess of 50 Wedding Fireworks Displays at many different venues the length and breadth of the country every year. 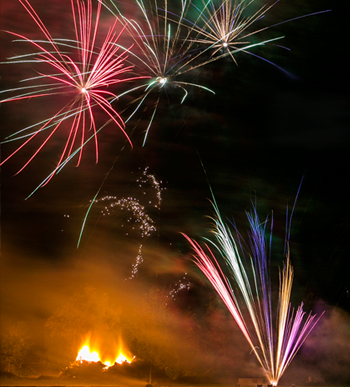 Whatever your occasion, be it Guy Fawkes, New Year, Christmas, Birthdays, Corporate Events, Musical Concerts or just about any other celebration, we can perform a display to suit. Contact us to book, or just to have a chat about your display ideas, whatever they may be, we're here to help. 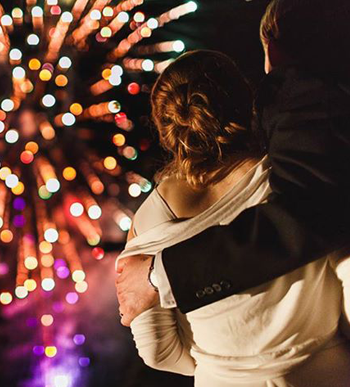 We perform Wedding Fireworks Displays almost every weekend of the year. This is our bread and butter business, and shows whenever we perform. Bein able to make such a difference to so many couples special days makes all the hard work and planning worthwhile, it truly is an honour. 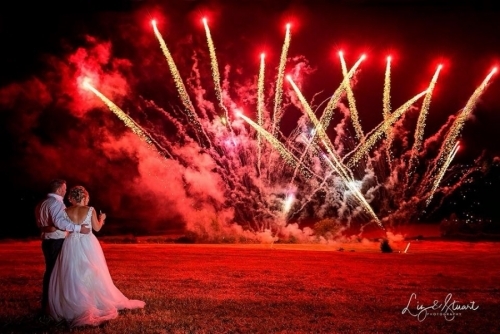 Wedding Fireworks are getting more and more popular these days as a way to mark the Bride and Grooms big day in a spectacular way.... From a small intimate display to a full blown pyromusical extraveganza to one of your favourite pieces of music, we can deliver something you and your guests will not forget in a long time. Call us to talk about your celebration.... whatever it may be.